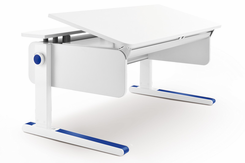 Contact Moll Kids USA for quality adjustable kids desks and chairs. About Moll Desks, a Division of Bindertek, Inc. Thank you for choosing Moll Desks, a division of Bindertek, Inc. Bindertek is a proud importer and distributor of Moll brand youth furniture and office furniture. moll Funktionsmobel GmbH of Germany is an international furniture manufacturer with a focus on premium quality and innovation. Our Customer Service Representatives are available from 8:30 AM to 5:00 PM Eastern Time, Monday through Friday. By Mail: Moll Desks, a Division of Bindertek, Inc.
Our Customer Service specialists specialize in Moll brand furniture. Our knowledgeable staff can help you find the best furniture to suit your needs. We can also special-order many Moll items for you. Your feedback is important to us. Please call or email us and share questions and comments about our products and online store. For orders shipped to Massachusetts and California state and local sales tax will be added to your order. If you have a damaged item, please call Customer Service immediately at (800) 456-3453 or email us at info@molldesks.com. We want you to be completely satisfied with your purchase. If, for any reason, you are not completely satisfied with our products, you may return your products within 30 days for a full merchandise refund. Shipping fees are not refundable. Please contact us at (800) 456-3453 to initiate your return. Refunds will be made in the same manner as payment was received. Please call Customer Service at (800) 456-3453 or email us at info@molldesks.com. Moll products are covered by a 5-year warranty. Learn more about the warranty and product awards for design, innovation and ergonomics.